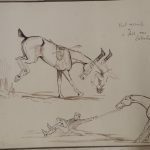 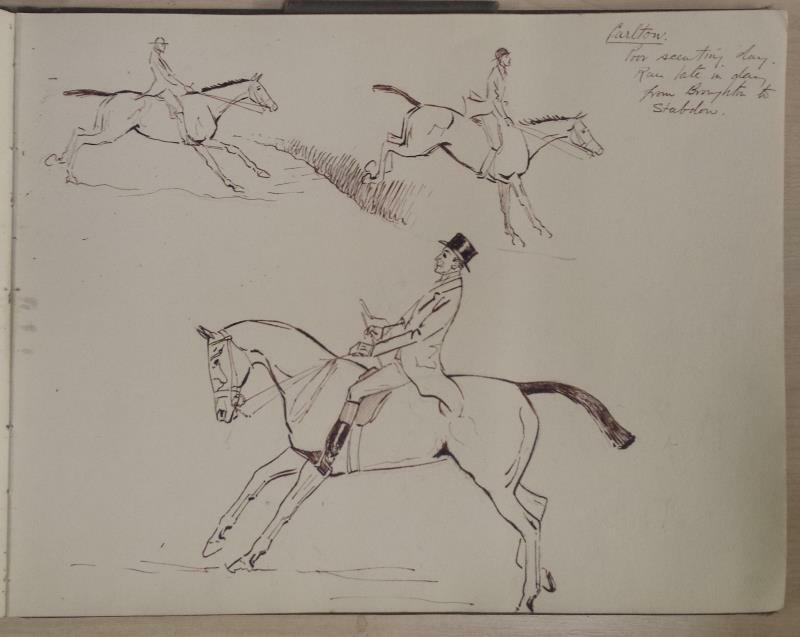 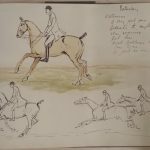 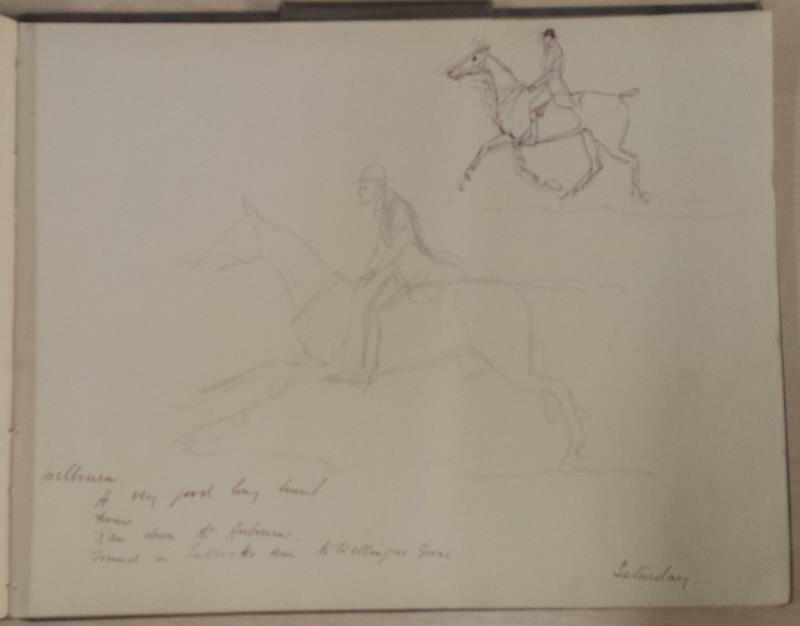 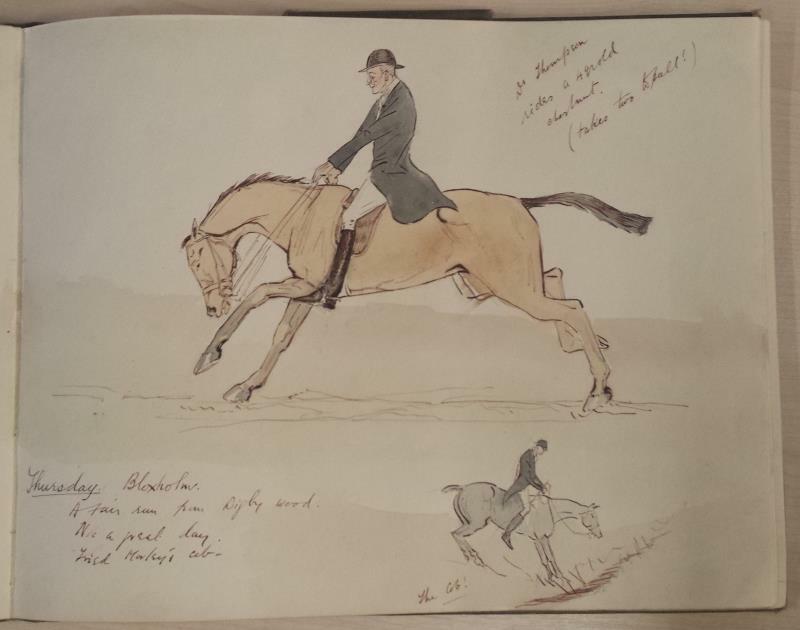 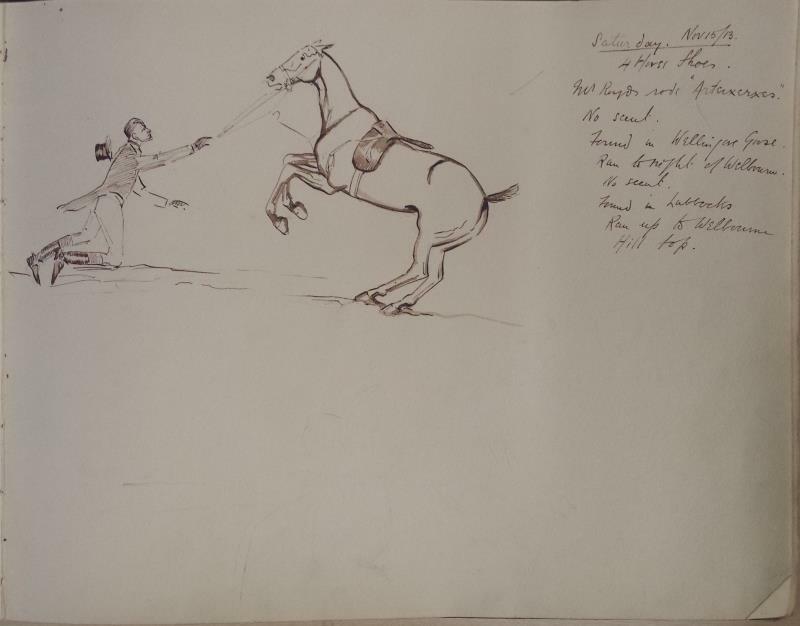 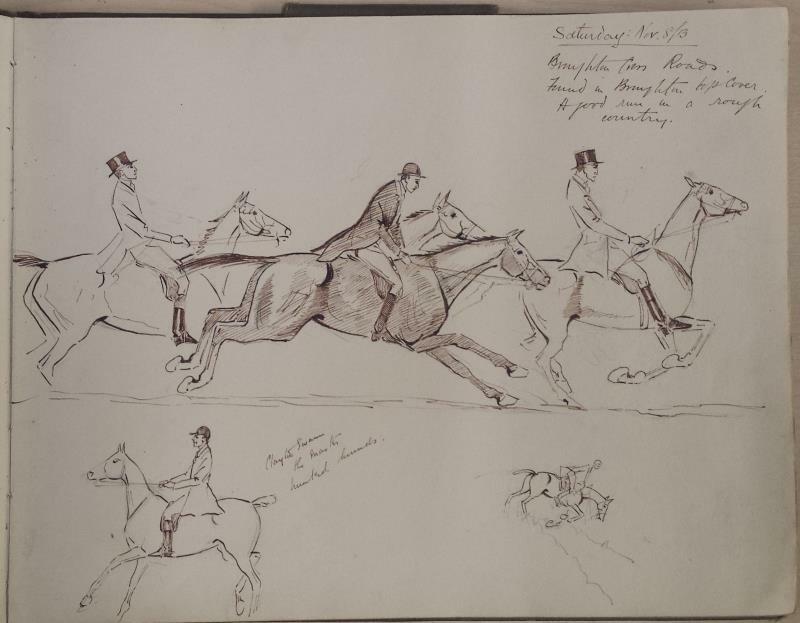 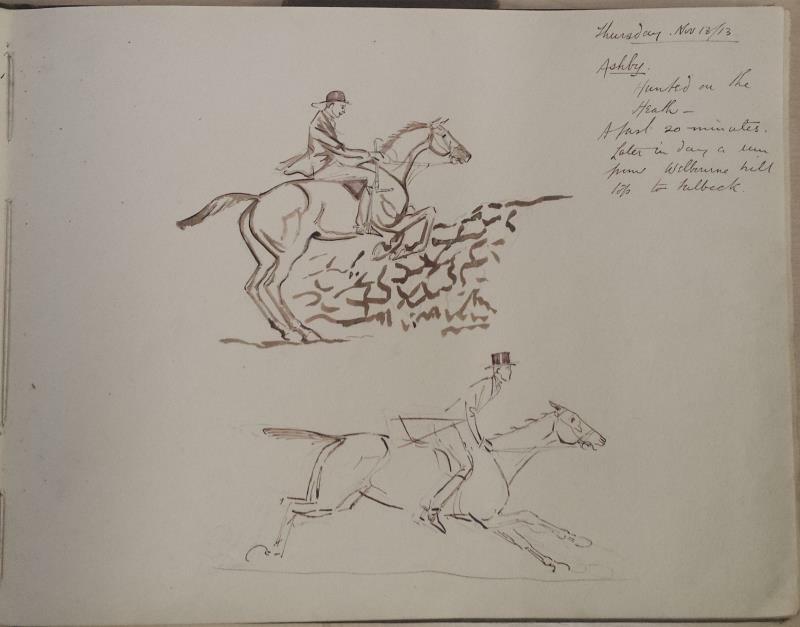 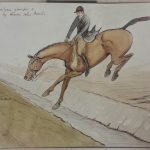 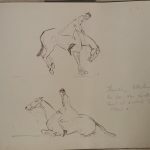 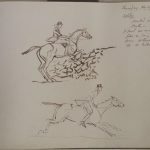 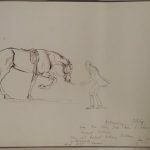 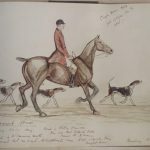 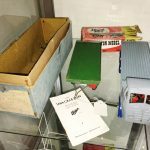 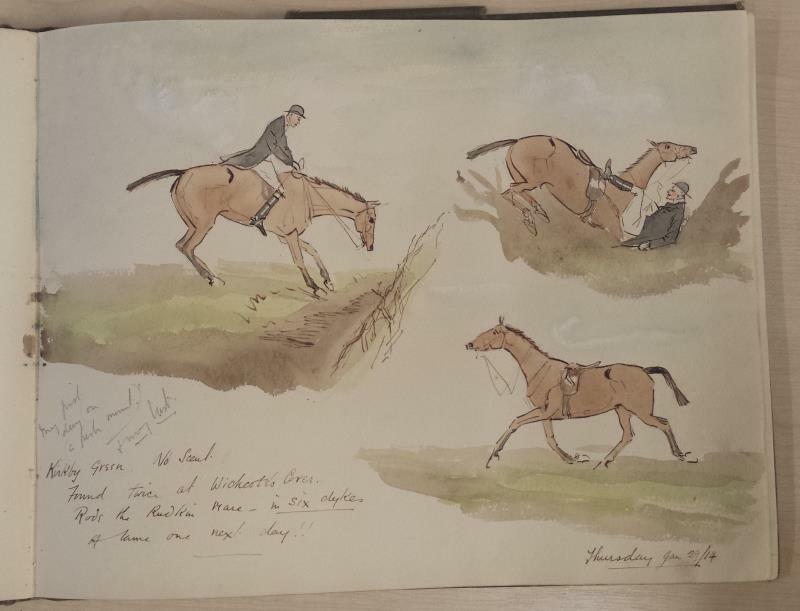 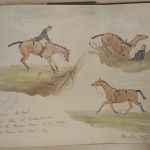 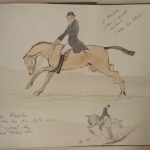 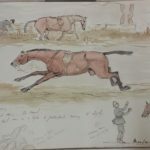 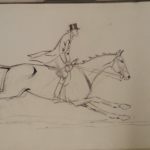 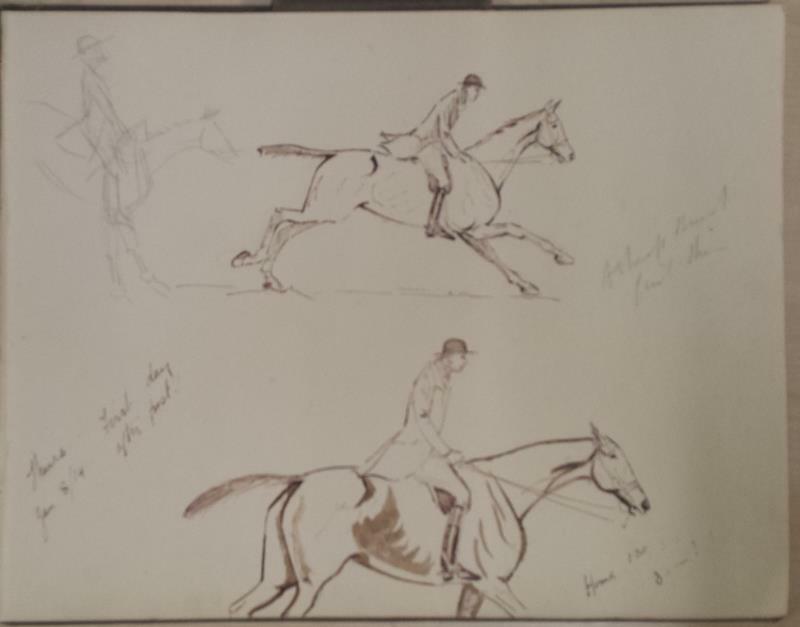 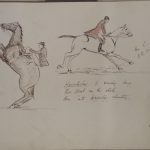 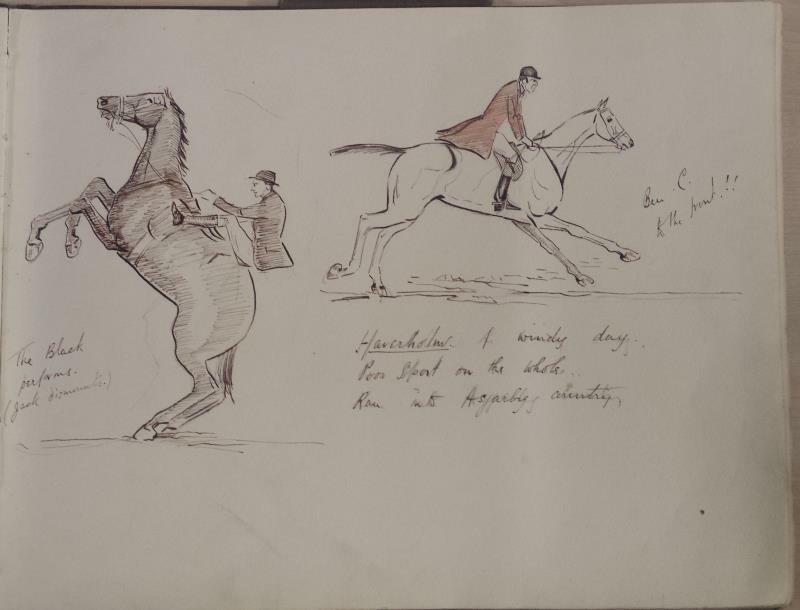 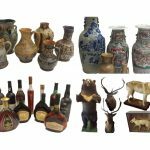 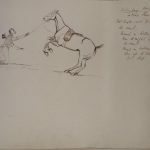 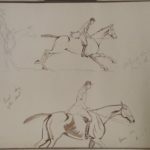 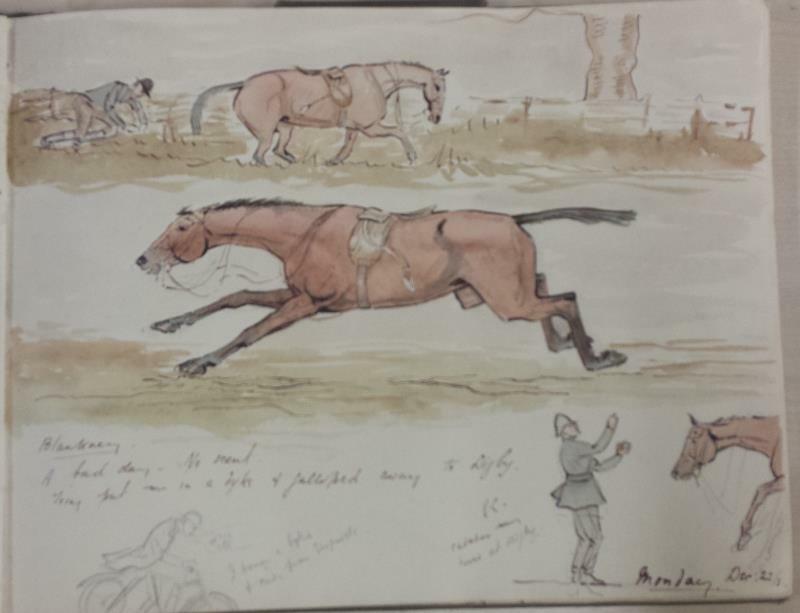 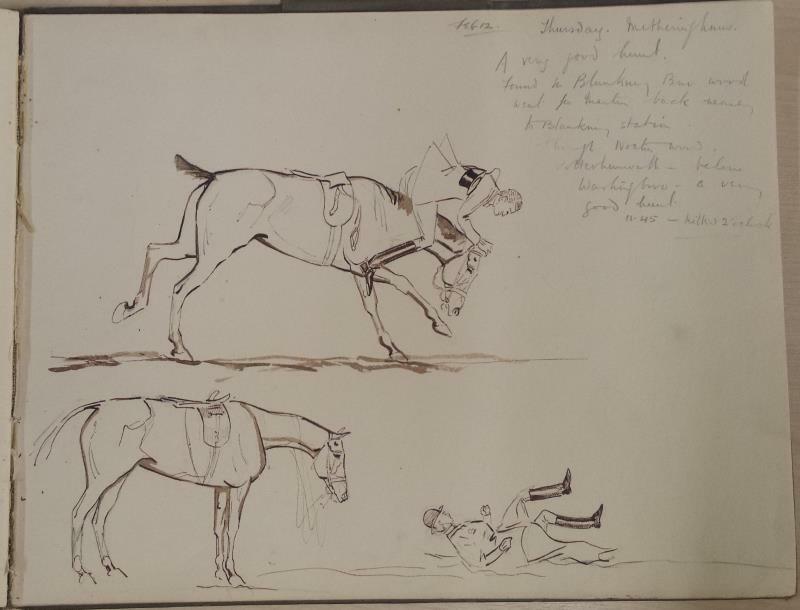 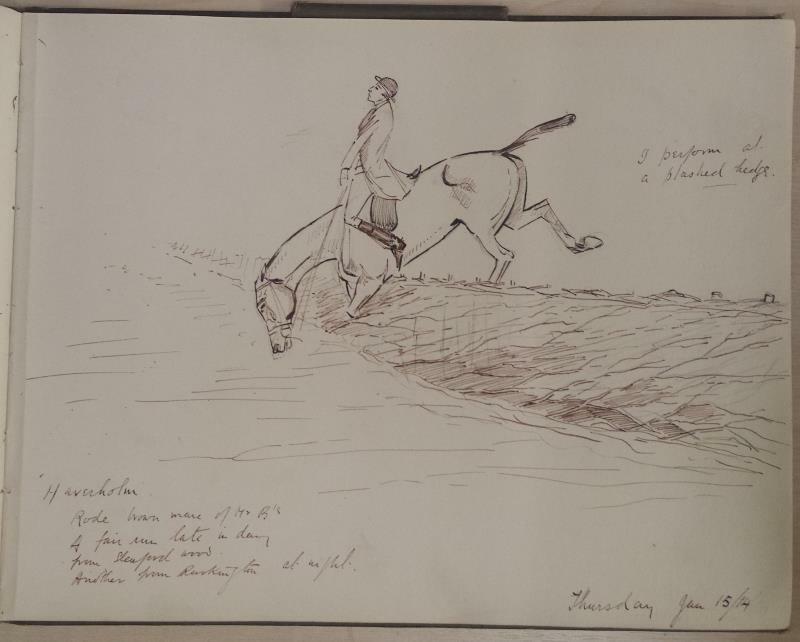 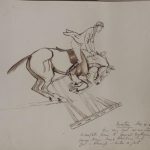 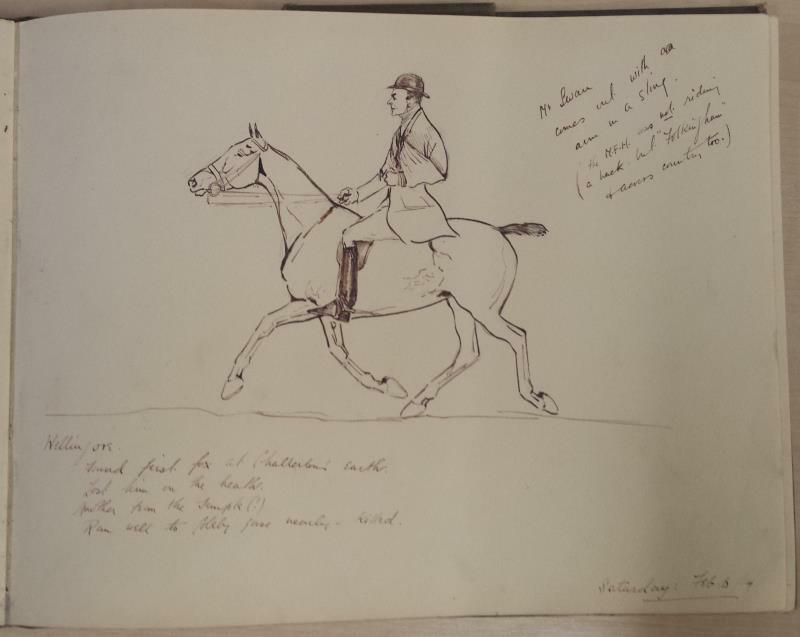 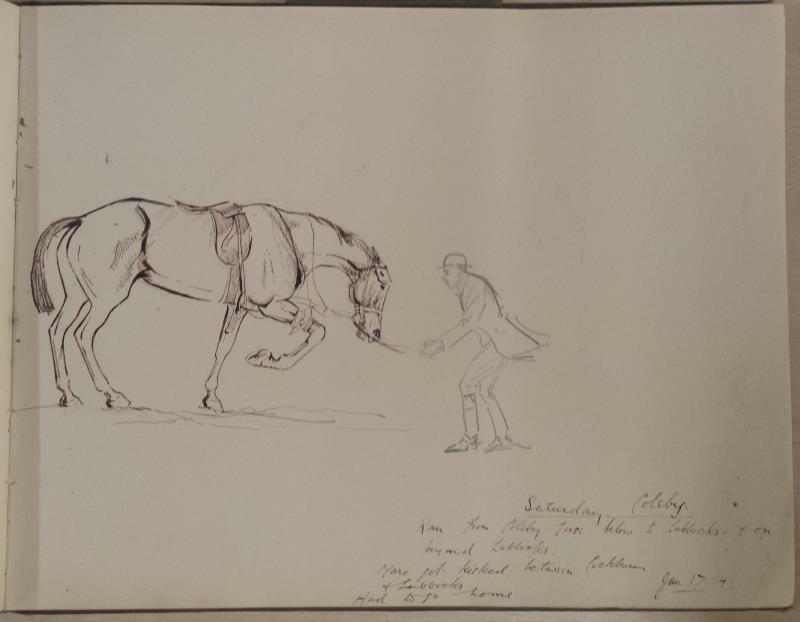 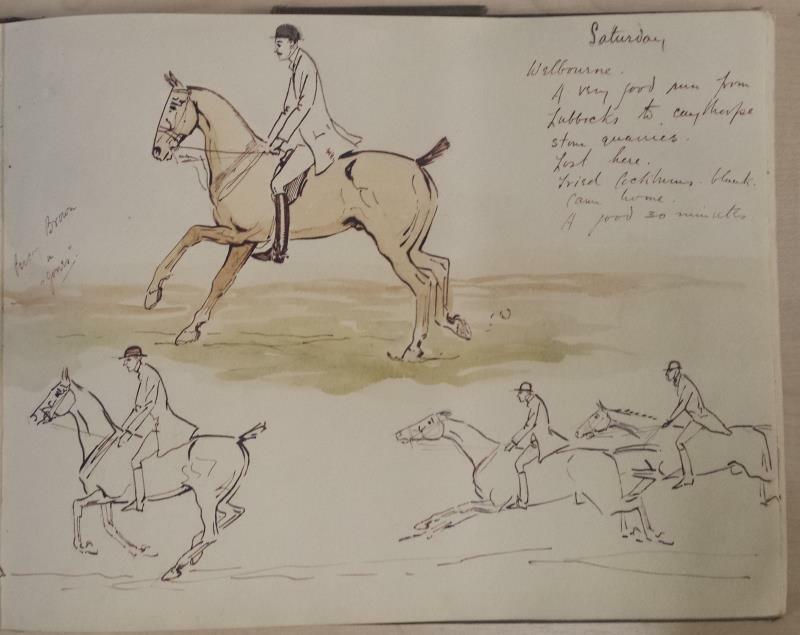 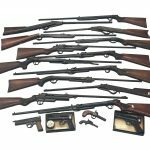 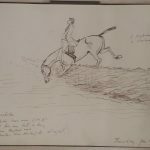 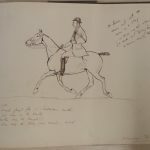 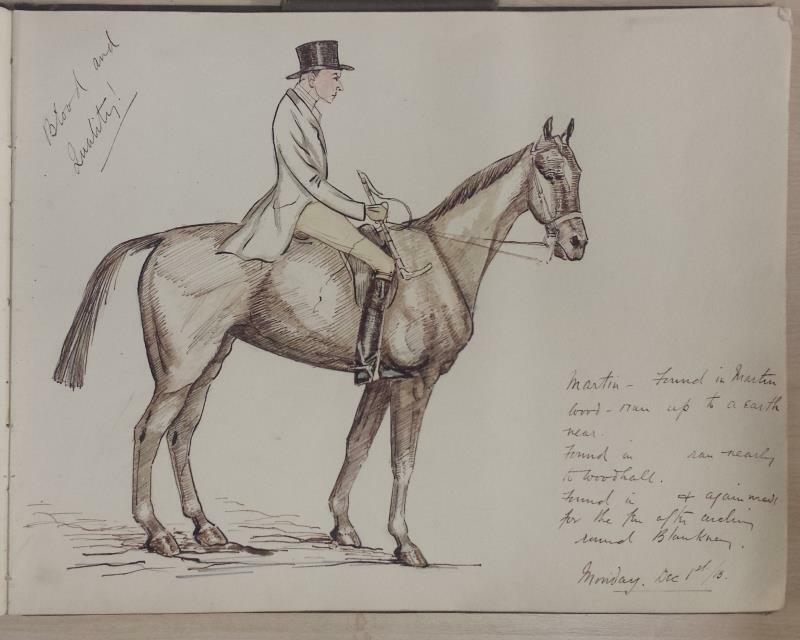 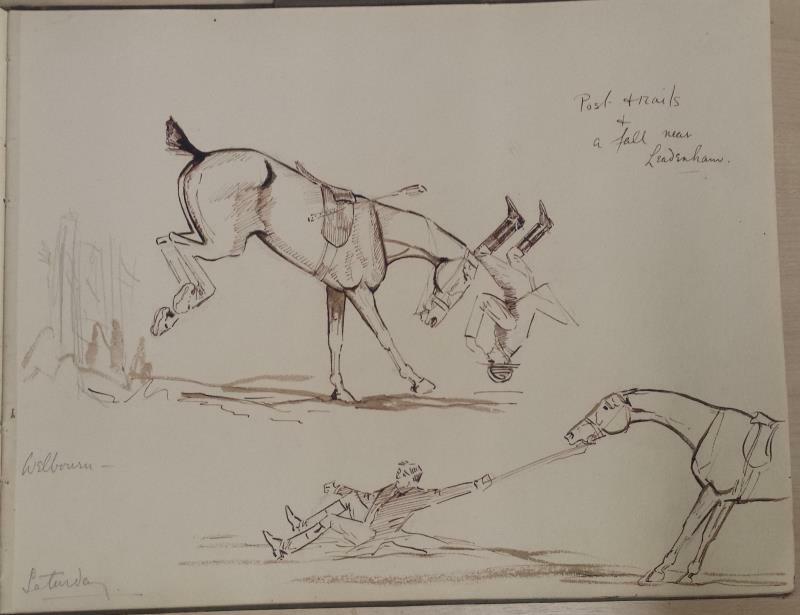 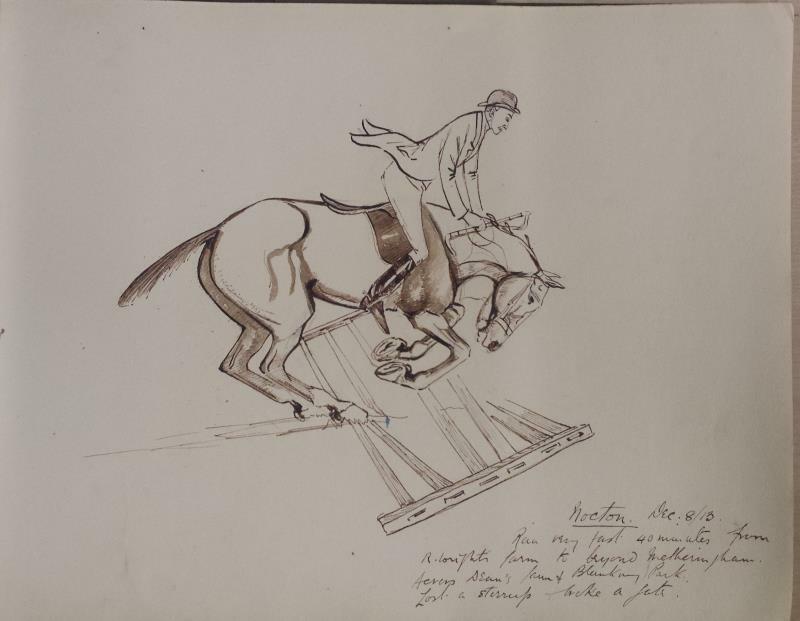 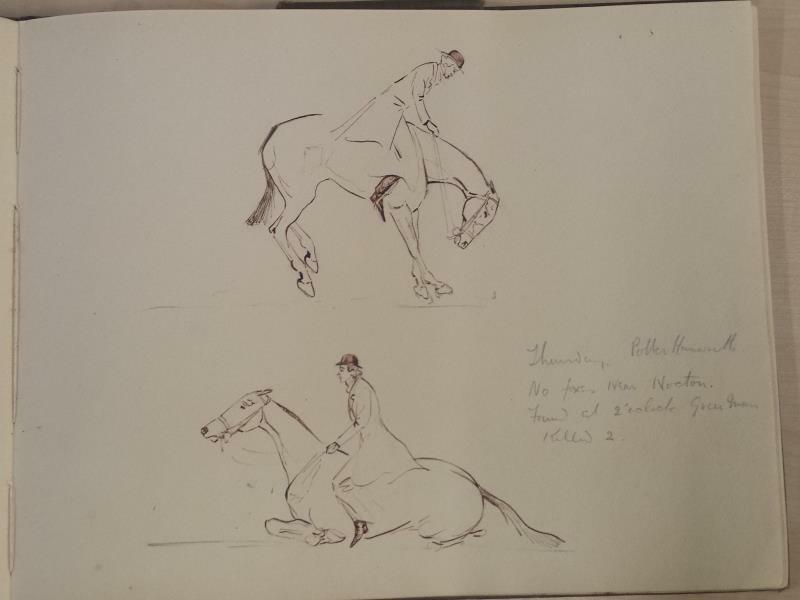 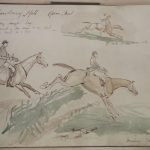 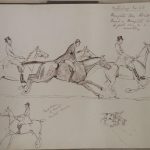 A unique Hunting Diary – journal and sketch book from 1913 from Lincolnshire related hunt and rides will of of great interest to collectors at Unique Auctions three day auction on the 26th/27th/28th April. 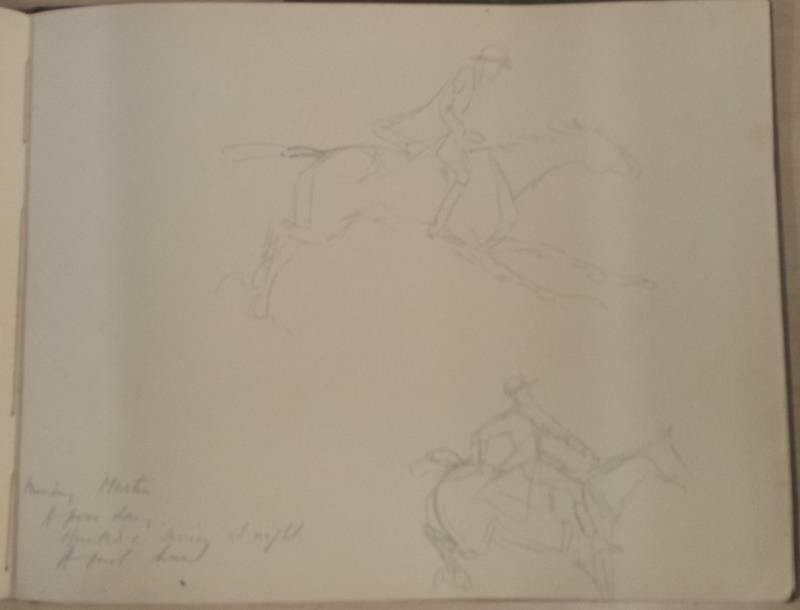 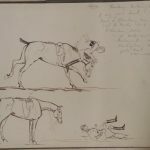 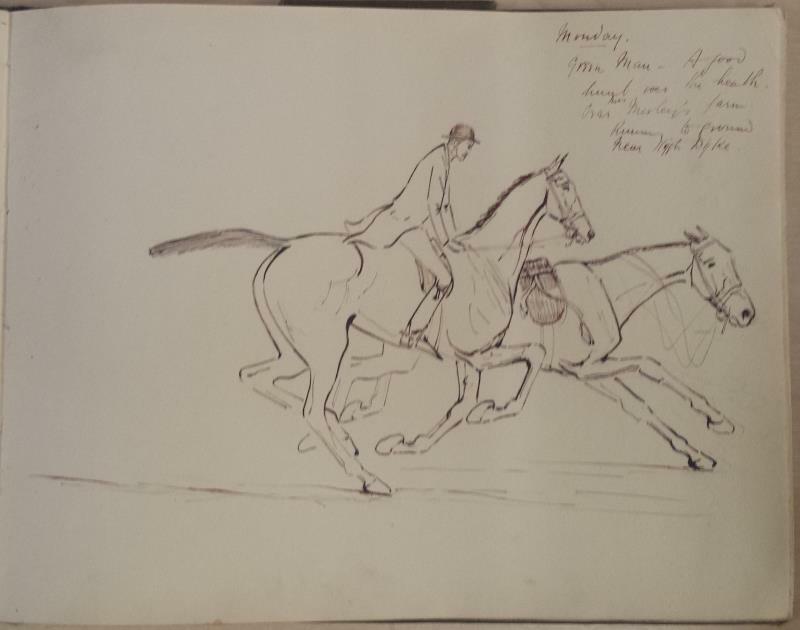 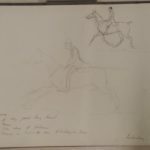 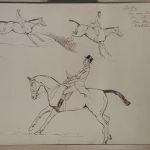 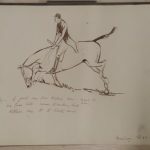 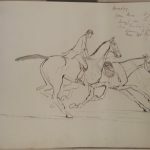 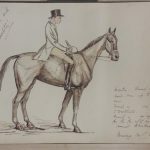 The journal includes approximately 27 pages of sketches and notes from around Lincolnshire including Blankney Hall hunt, Ruskington, Scopwick House, Broughton Cross Roads, Ashby, Havenholm, Martin, Carlton, Nocton, Welbourne etc. 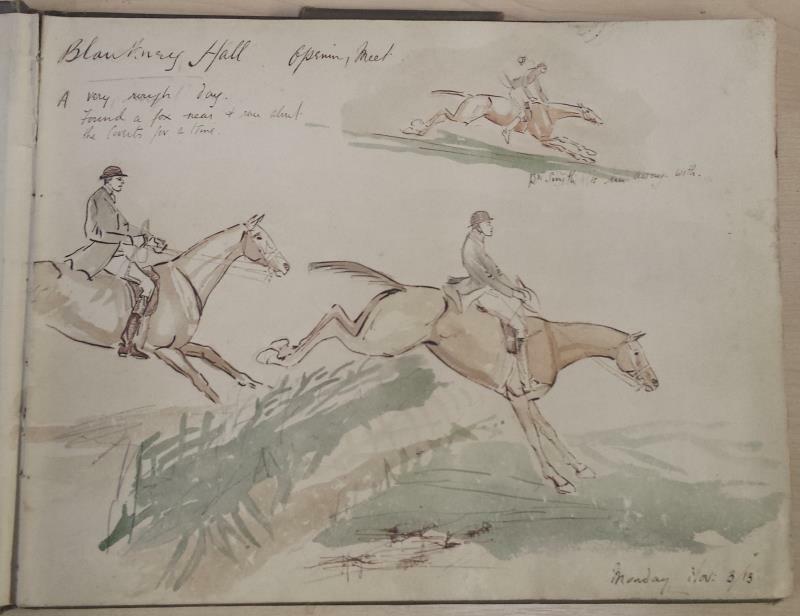 Blankney Hall,Opening Meet – A very rough day, found a fox near, ran about coverts for a time. 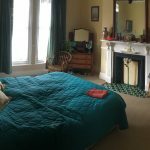 Scopwick House – A very windy day. 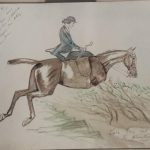 Found in Kirkby Green cover, Ran over past Scopwick Station. 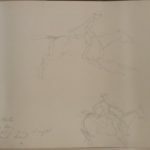 Crossed the 3 drains…. 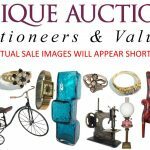 Monday Nov 17/3. 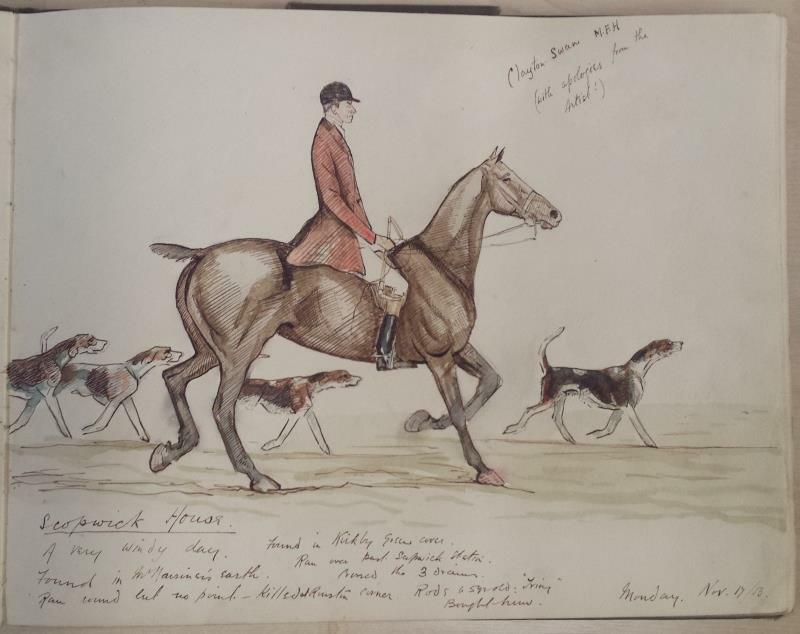 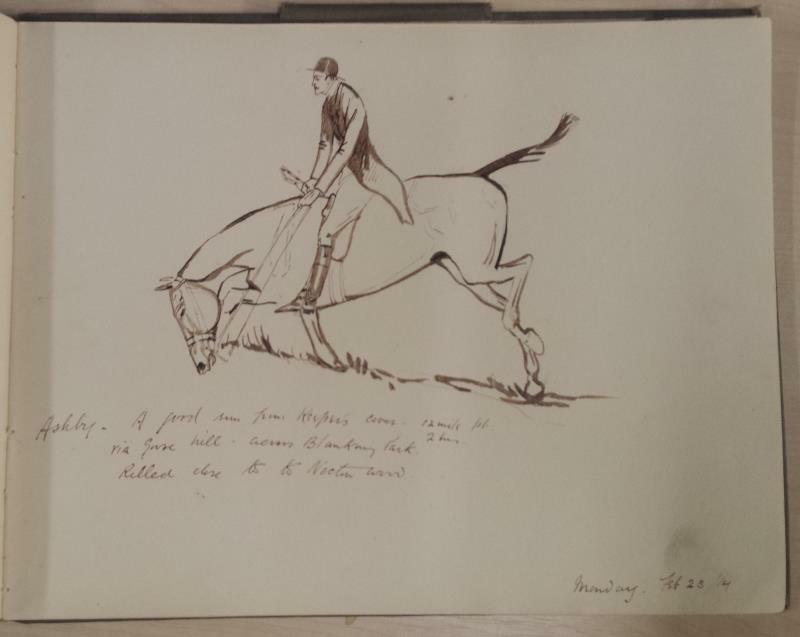 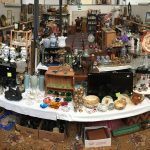 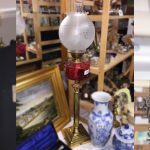 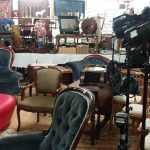 The Hunting Diary will be available to view on Thursday 25th April from 10am-4pm and on the mornings of the auction weekend. 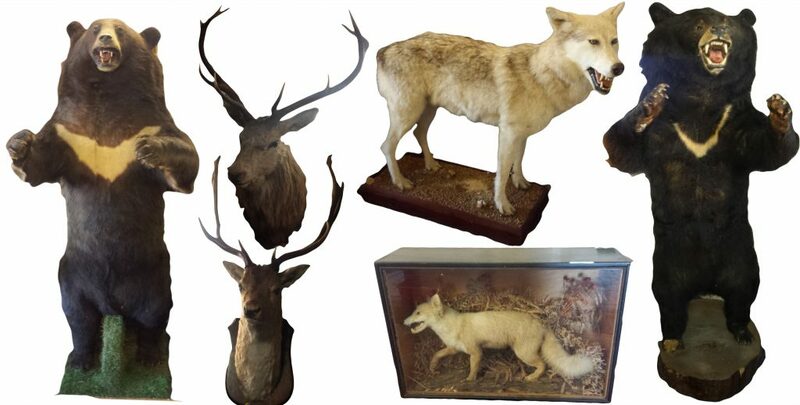 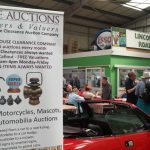 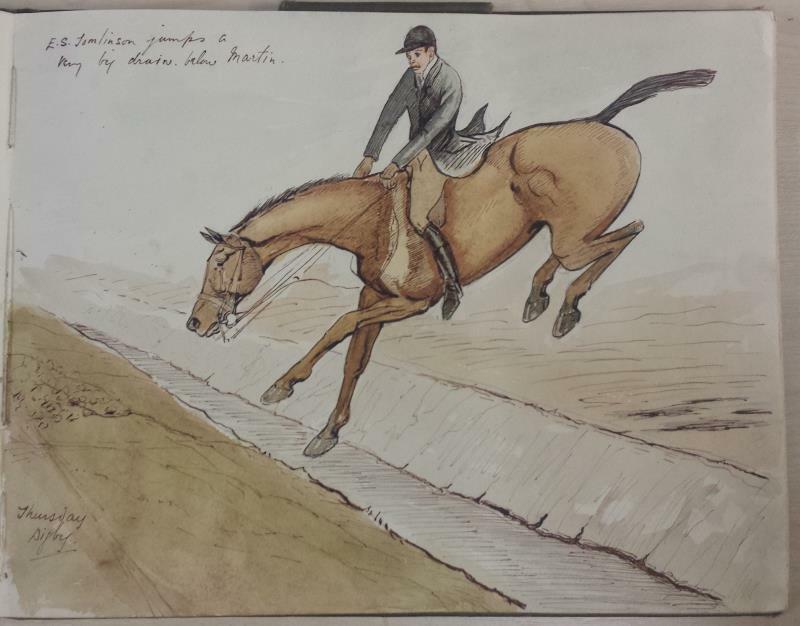 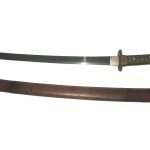 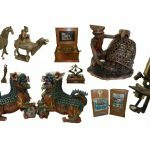 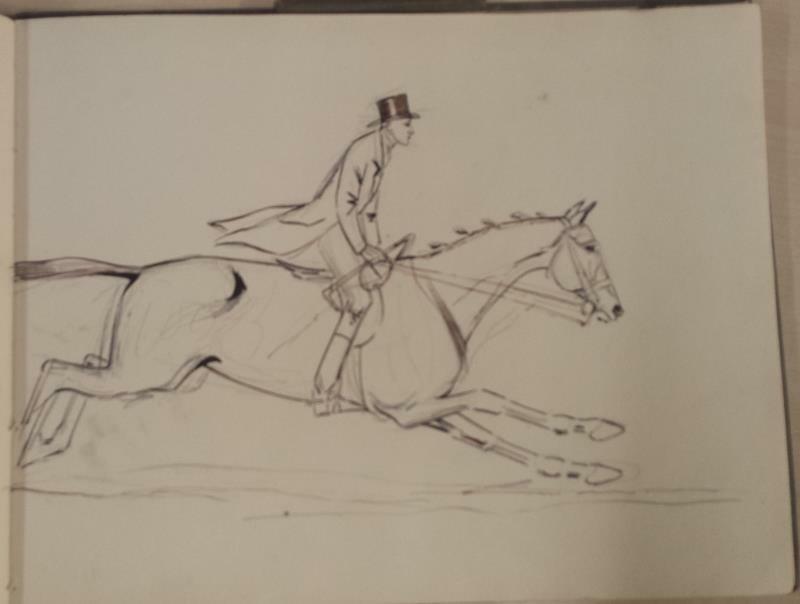 We are now accepting Lincolnshire related hunt and ride books and ephemera etc for all future auctions. 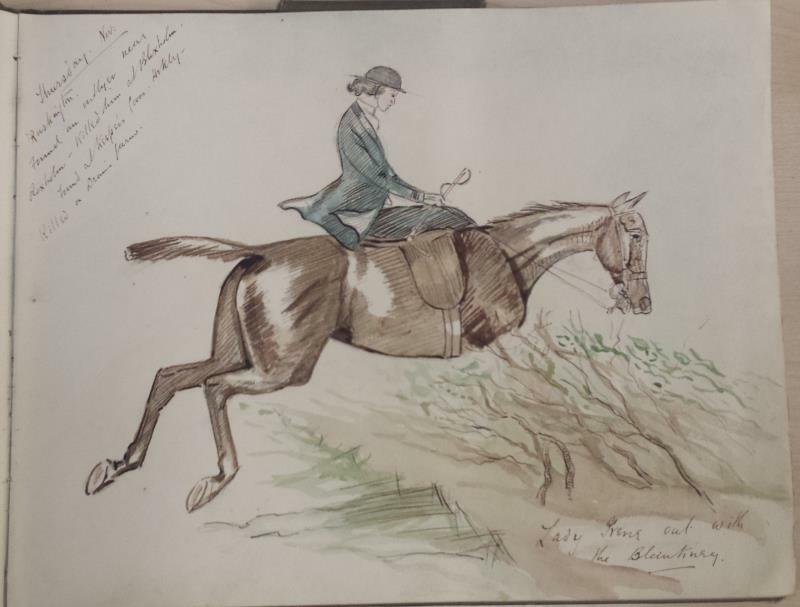 We also value Lincolnshire related hunt and ride books and ephemera etc.